Sorry, this feature isn't available yet. Here's a single image to be going on with: the view from the recording cubicle into one area of the studio. 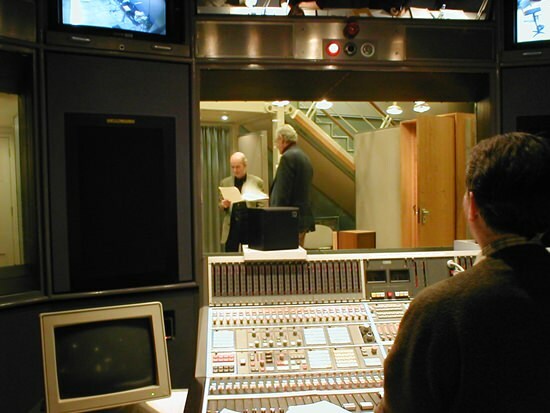 Senior audio engineer Tim Sturgeon listens as Clive Merrison and Stephen Thorne rehearse.